Wide body passenger transport jets made their introduction in the 1960s early 70s in the form of the Boeing 747, McDonnell Douglas DC-10 and the Lockheed L1011. Preparing for the retirement of the Boeing 727 faithful workhorse, Boeing in 1978 announced the 757 narrow body, as well as the 767 wide-body which was to go up against the Airbus A330. Boeing also were kicking around a Boeing 777 jet idea which was a tri-jet, to go up against the DC-10 and L1011. The Boeing 757 and 767 models were well accepted by the market. The timing was fortuitous, as in the early 80’s new regulations were introduced governing the operations of twin engine aircraft on trans oceanic routes. ETOPS, (Extended-range Twin-engine Operational Performance Standards), allowed certificated aircraft to fly up to three hours (ETOPS180) from the nearest available alternative airfield. The Boeing 767 began to be used under this regulation on oceanic routes that did not require the seating capacity of the larger wide bodies. 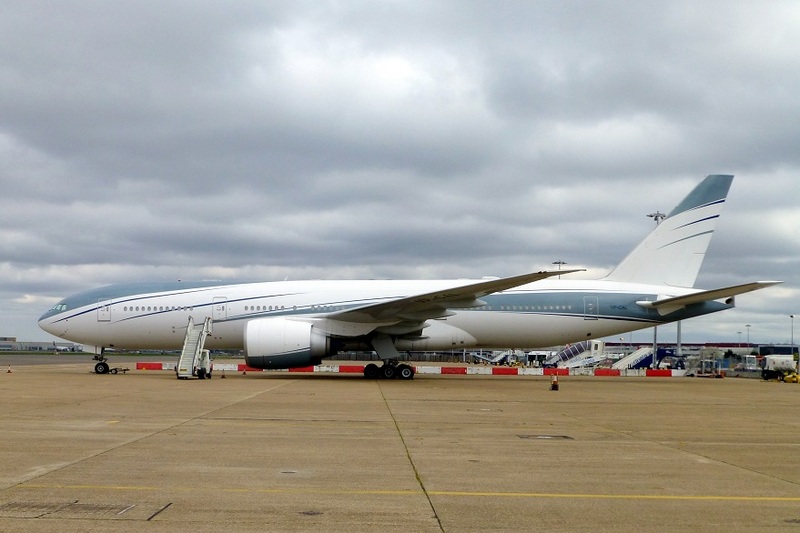 There was still a gap in Boeing’s stable of aircraft between the Boeing 767 and the Boeing 747 which needed to be filled. McDonnell Douglas announced the MD11 to replace the aging DC10. Airbus had the Airbus A330 and A340. In 1986 Boeing floated ideas to create an enlarged Boeing 767. Called the Boeing 767-X, the design had a longer fuselage, larger wings with winglets and a wider cabin. The response from airlines was not encouraging at all. The market called for an even wider fuselage, flexible cabin layouts and better fuel economics than could be delivered by any Boeing 767 variant. 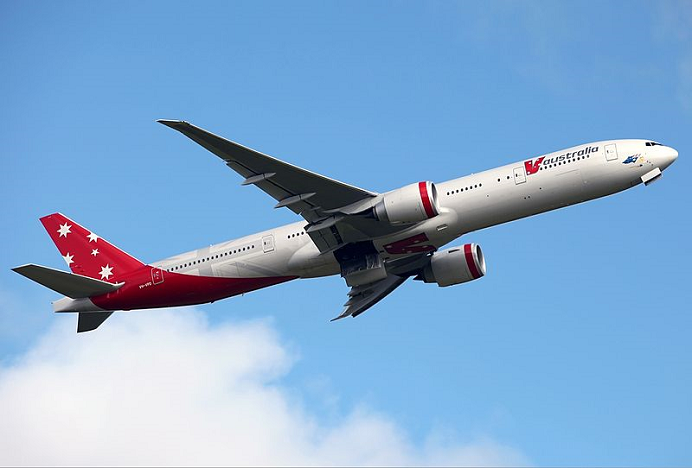 A V Australia (now Virgin Australia) Boeing 777 300ER climbs out. In 1988 Boeing reacting to the market, acknowledged that a brand new design was called for and the Boeing 777 idea was born. In a departure from the norm, Boeing gathered 8 leading airlines to become part of the design group. The Working Together Group, as it was called, was made up of: All Nippon Airways, American Airlines, British Airways, Cathay Pacific Airways, Delta Air Lines, Japan Airlines, QANTAS, and United Airlines. Rather than presenting the market with what Boeing perceived as their idea of what was required, customers had direct input. 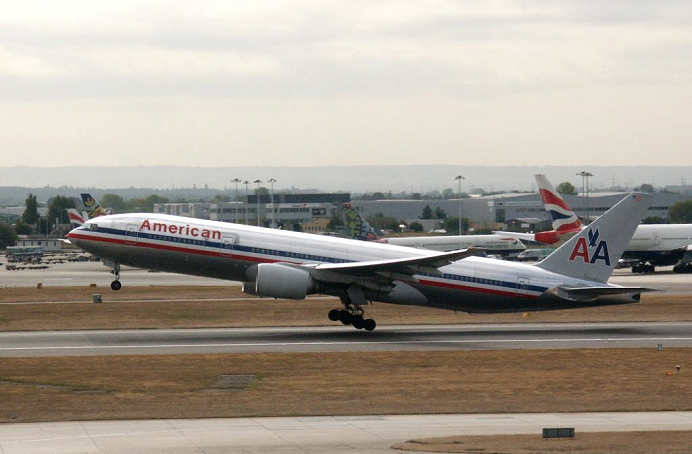 An American Airlines Boeing 777 200 lifts off. 08 December 1989 Boeing made offers of the Boeing 777 to airlines. March 1990 Boeing and the Working Together Group had settled on some basic design characteristics of the Boeing 777. 14 October 1990 United Airlines placed an order for 34 Boeing Boeing 777s powered by Pratt and Whitney engines, becoming the launch customer for the type. January 1993 Boeing designers and around 240 airline teams gathered at Everett to address around 1,500 design issues. Modifications were made. Cathay Pacific influenced an increase of the fuselage diameter, All Nippon Airways demanded lengthening of the base model fuselage, whilst British Airways asked for more interior flexibility and increased weight options. 4 January 1994 Assembly begins on the first aircraft. 9 April 1994 The first Boeing 777 rolls off the production line. Aircraft WA001 is involved in many ceremonies. 12 June 1994 The Boeing 777 makes its maiden flight, beginning 11 months of testing. 19 April 1995 Boeing 777 receives its airworthiness certification from both the Federal Aviation Authority (FAA, U.S.) and the Joint Aviation Authorities (JAA, Europe). 15 May 1995 United Airlines takes delivery of its first Boeing 777. 30 May 1995 The 777 with Pratt and Whitney engines becomes the aircraft to be awarded ETOPS-180 on entry into service. This means the Boeing 777 can be used for trans-oceanic services provided it does not fly further than 180 minutes from an available alternative landing site. 7 October 1996 The Boeing 777 200ER with extended range and increased payload capability made its maiden flight. 17 January 1997 The Boeing 777 200ER received both FAA and JAA certification. 9 February 1997 The Boeing 777 200ER enters service with British Airways. 2 April 1997 A Malaysia Airlines Boeing 777 200ER flying from Everett to Kuala Lumpur broke the record for an aircraft non stop flight. It flew 20,044Km (10,823NM) in 21 hours and 23 minutes. It was aptly named Super Ranger. 16 October 1997 The Boeing 777 300 made its maiden flight. At 73.0 Metres (242.4 Feet) it was the longest airliner to have flown, a record to be held until the Airbus A340-600 was introduced. 4 May 1998 The Boeing 777 300 received type certification from both the FAA and JAA. 27 May 1998 Cathay Pacific, launch customer for the Boeing 777 300, received their first aircraft. 29 February 2000 Boeing launched its next generation twin engine program concentrating on creating longer range variants of existing types. Named Boeing 777-X it was a slow starter due to the downturn in airline business in the early part of that decade. The first design to be offered, the Boeing 777 300ER was ordered by Air France. Ten were ordered. 24 February 2003 Boeing Boeing 777 300ER made its maiden flight. 16 March 2004 Type certification for the Boeing 777 300ER was granted by the FAA and EASA (replacement to the JAA). 29 April 2004 Air France took delivery of their first Boeing 777 300ER. 8 March 2005 The Boeing 777 200LR makes its maiden flight. 26 February 2006 The Boeing 777 200LR set a record for the longest flight by a passenger jet by flying from Hong Kong to London, a distance of 21,602 kilometres (11,664 NM), in 22 hours and 42 minutes. 2 February 2006 The Boeing 777 200LR receives type certification from the FAA and EASA. 26 February 2006 Pakistan International Airlines took delivery of the first production model of the Boeing 777 200LR. 23 May 2008 The first 777F freighter version rolled out of the factory. 14 July 2008 The first Boeing 777F makes its maiden flight. 6 February 2009 Type certification of the Boeing 777F was received from the FAA and EASA. 19 February 2009 Air France received the first production model Boeing 777F.